After work today I'm leaving with three girlfriends for a weekend away from the city. What a perfect excuse to bake something! So last night I slaved away in my minuscule kitchen making my favorite muffins and a quiche (I'll post that recipe later). 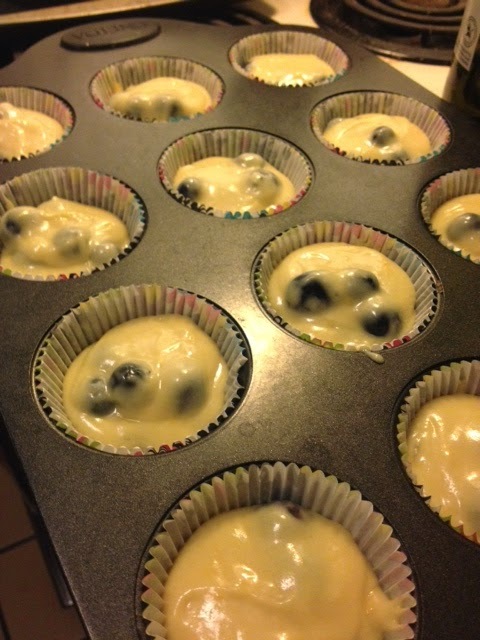 I made these muffins two weeks ago to welcome a baby into the world and I used frozen blueberries. 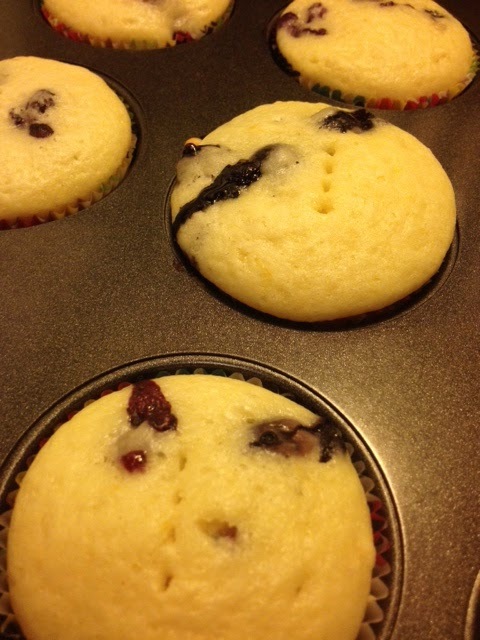 While the muffins were still delicious they did not have the same deep blueberry flavor that using fresh blueberries has. They tasted almost... flat. So I highly recommend spending the extra dollars and buying the carton of fresh blueberries. Trust me, it's worth it. Combine flour, sugar, salt and baking powder in a bowl. Zest the lemon and add to dry ingredients. 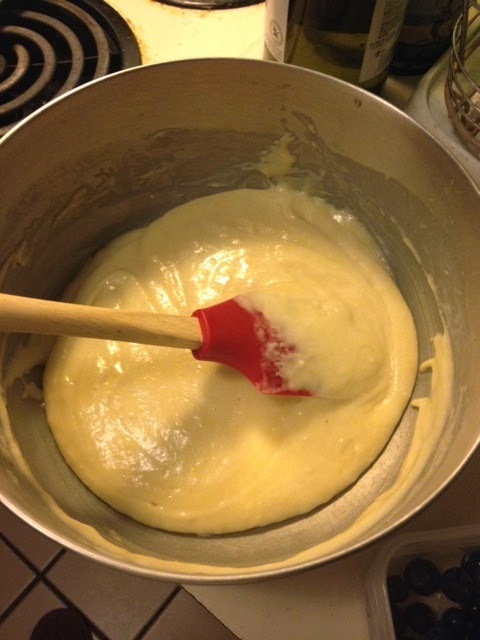 Add oil, milk, egg and the juice of half of the lemon. Combine well. 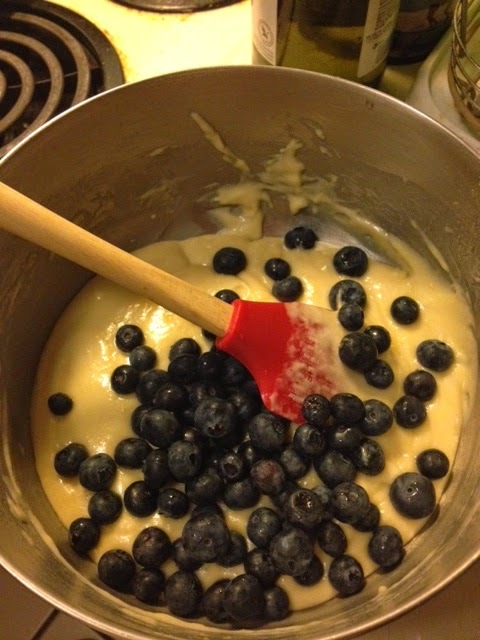 Add in blueberries and scoop into muffin tin. 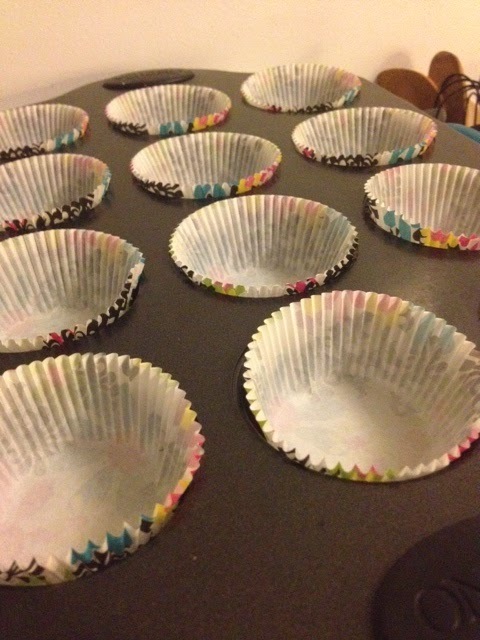 Bake at 325 degrees until you can stick a fork or toothpick into the center of a muffin and it comes out clean. This part is optional but worth it... Pierce each muffin with a fork. Combine the juice of the second half of the lemon with half a cup of confectioner's sugar. 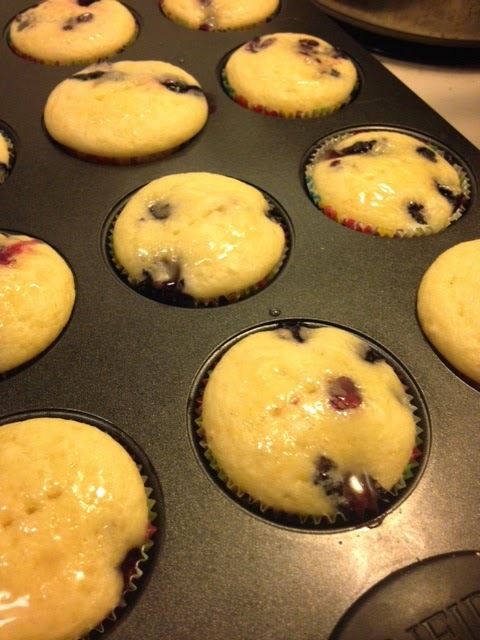 Drizzle mixture over the muffins. 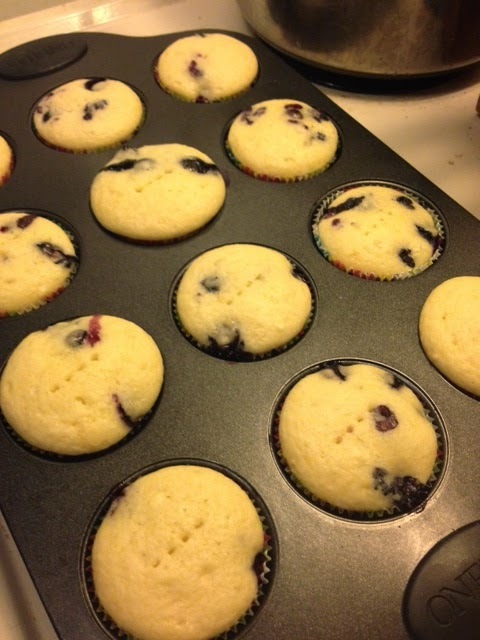 It will seep into the holes and keep the muffins moist and sweet. 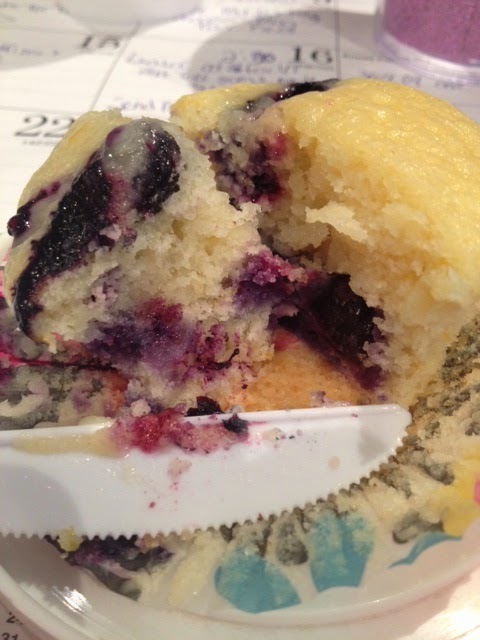 I obviously had to taste test a muffin this morning, you know, for quality control. The blueberry flavor is fresh and sweet and the hint of lemon compliments it so well. These are perfect for a brunch you might be hosting or just a lazy Sunday morning at home and they are simple and take no time. Treat yourself to something good. These were so delicious and you could really test the lemon, which I loved. Wish you had also photographed the gorgeous wrappers you put them in!